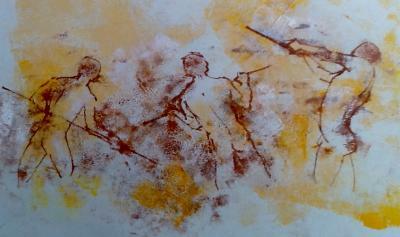 Monoprints are a really easy, direct and immediate way to turn a live drawing into a surprising and even mysterious print. 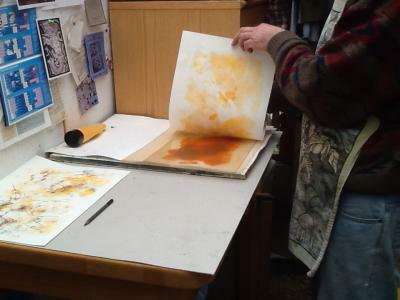 All you need is pencil or pen, paper, some ink, a roller, and something flat you can roll ink onto. Then you just rest your paper on the inked surface and draw. Let's do it! 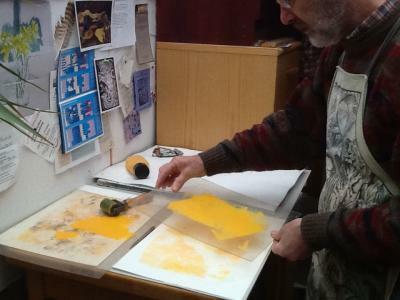 In this photo tutorial master printmaker Lee Stevenson demonstrates how to do a monoprint, with the added bonus of a coloured background. 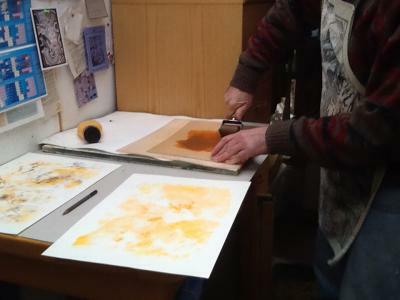 Lee is using water based relief ink, and you can do this with the water-based block and lino printing inks which are readily available from art shops, and are easy to clean up. 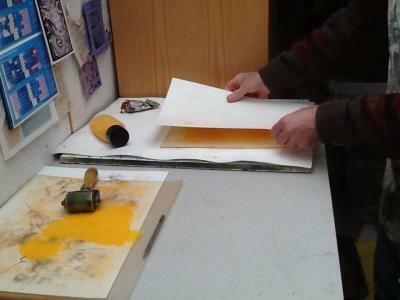 You can roll the ink out onto any flat non-permeable surface, such as a sheet of glass, acetate, acrylic, plastic, metal, or formica surface, then place your paper on it. 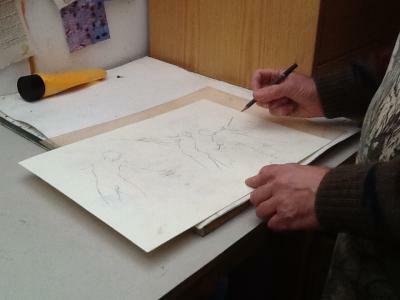 Simple pressure on the paper draws ink onto the back of it, creating a reverse of what you drew. 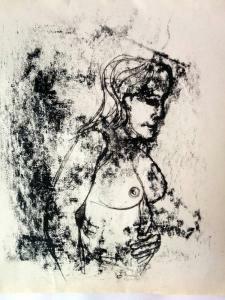 Lee is a member of the St Ives Society of Artists and is available for printmaking instruction, workshops and tuition at leestevenson.co.uk. And then you can carry on surprising yourself with new experiments after this tutorial. 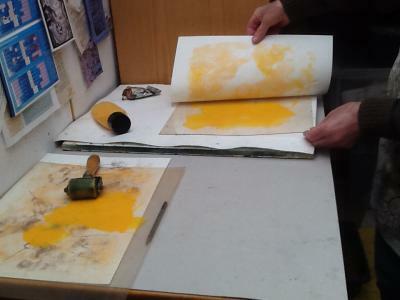 Some have also worked by subtraction, that is inking a plate and then lifting ink off it to create light areas before pressing paper on, possibly even with a printing press. 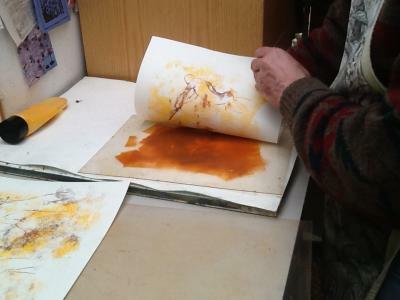 Pressure on the page with your hand can create tones or textures, and other items such as forks or spoons or textiles can be used to make marks. And you can still draw or paint onto your work once the ink has dried, or press a fresh sheet of paper firmly onto the inked slab to re-capture your drawing as a white line on a dark background, a sort of negative or ghost version of what you drew as seen in the interesting work of artist Philip Maire.